Running a local charity means making a difference to those you serve. Working with superb trustees, staff and volunteers in Age Concern it is a privilege to support those in later years in the Borough of Colchester. My role is to lead the organisation, enable the team to grow and work closely with trustees to develop a partnership across the Borough for improved support in later years. Running a busy advice and advocacy service means balancing the needs of those we serve with the skills of our volunteers. We continue to develop volunteers who are able to provide much needed support to individuals in need of help. We do this through advice workers who visit in the home and complete paperwork coupled with advocates who support the wishes of individuals who are diagnosed with dementia to carry out their wishes into the future. The Befriending and Friendship services mean that we are able to fight loneliness and allow people to share together. With over 40 befriender volunteers in the field our work is vital to ensure people who don't have family or friends have access to friendship. Our established and growing network of clubs mean that friendships can develop, health can be maintained and life in later years can be lived more happily. Our information and advice service has been built up over many years with our trusted network of providers sympathetic to the needs of individuals in later years. We provide a directory of contacts for varying needs and this can be accessed by phone, or by our online directory on the website. 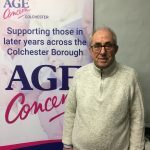 Ray Hardisty, the current chairman of Age Concern Colchester, has lived in the borough for 40 years and is connected to a number of different health, older people and disability organisations. He is a registered trustee of five charities and volunteer director of three companies. 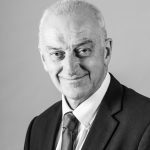 The wide ranging involvement and wealth of experience was ignited by his work as a local newspaper journalist and noticing the big difference that commercial skills can make to the voluntary sector. And he has added to his knowledge by successfully training as a volunteer manager, actively fundraising and becoming a qualified personal counsellor. Now retired his diary is still full as he holds key positions with organisations including the North East Essex Health Forum, the National Federation of Occupational Pensioners Colchester Branch, Colchester Pensioners Action Group, Colchester Society For the Blind, Fair access to Colchester, Mid Essex Talking Newspaper and the Witham and District (Essex) U3A. Eddie Bloomfield retired from the Ministry of Justice in 2016, having completed a number of senior leadership roles in the Justice system. In particular he was HM Chief Inspector of Court Administration for England and Wales from 2005-10 and the Public Trustee from 2010-16. As Public Trustee he was the custodian trustee of the Prime Minister's country estate, Chequers. Eddie has been a trustee at Age Concern since 2009. He is a member of the Finance, Fundraising and Risk sub committees. Eddie is also a trustee of Grassroots and a Governor of Colchester County High School for Girls. Eddie's responsibilities are within grants, fundraising and finance. 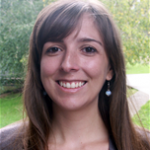 My research focuses primarily on the intersection between working memory and long-term episodic memory. I have investigated how working memory and long-term memory factors interact with one another to promote immediate recall from working memory as well as give rise to conscious recollection in episodic memory. Furthermore, I am very interested in how processes underlying working memory change or remain intact with age, and how these processes are important to working memory as a predictor of age-related variability in higher-order cognition, especially episodic memory. I use a combination of experimental and individual differences methods to investigate working memory functioning, as well as a variety of empirical designs to disentangle key processes underlying episodic memory. I am also interested in the role of working memory in executive functioning and fluid intelligence. In general, I am interested in the factors that underlie complex cognition. Vanessa is our link to Research for the Charity and is heading up a large research project with Age Concern and Christie's Care in the Home with other colleagues in the University. 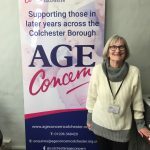 Having worked for Barclays Bank and for M&G Investments in London I was encouraged, on retirement, to join the Board of Trustees of Age Concern Colchester. 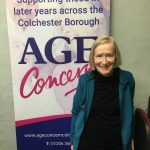 I have always been interested in the work that the charity undertakes in helping older people in Colchester and for their invaluable and impartial advice on both social and financial issues. I am,therefore, very pleased and privileged to be part of a committed team of staff, volunteers and trustees who all bring their own individual skills, expertise and enthusiasm to support a well respected local charity. 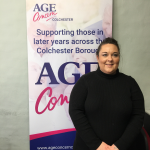 Going forward I am personally confident that AGE Concern Colchester will continue to grow and fulfil its role in providing a quality service for all older people living in and around the town of Colchester. 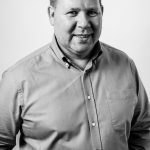 Ivan comes to Age Concern Colchester with a wealth of copywriting, social media and blogging experience. Ivan has completed a post graduate research degree and supports other local charities in Colchester with similar work. 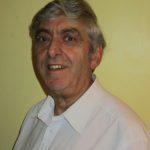 Ivan looks after elements of our website and social media and has also completed a project on the history of Age Concern since its inception in 1964. Retired Senior IT Manager with 40+years experience of systems development in the insurance sector. Over 15 years experience operating at Board level running a systems company that was introducing electronic trading into the general insurance sector and provision of strategic consultancy. Prior to that Systems Development Manager for an International Insurance Broker responsible for the development of the necessary systems to support the business needs of the company. 15 + years project managing major multi-million pound out-sourced IT projects from conception to implementation by numerous insurance companies. 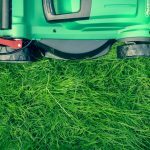 These were outsourced to companies such as IBM and involved ensuring the contracts were negotiated for the best price and run according to agreed standards /deliverables. Experience of all aspects of running a company. 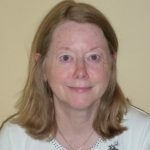 Pauline has had a varied career within the Department for Work and Pensions in junior management. 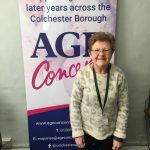 After this Pauline then worked in Advocacy for Age UK Essex and since retiring has been involved in Age Concern for the last 9 years bringing her valuable experience and expertise to support in both Information and our Advice and Advocacy teams. Kay has spent her working career as a Civil Servant in the land registry measuring flats and working out leases. A large part of her work was dealing with invalid appeals. Apart from her volunteering with Age Concern Kay has also volunteered with Samaritans, St Helena Hospice, Homeless Charities and is very active Volunteering in her local Church too. As the Marketing Officer for Age Concern Emily oversees the strategic marketing plan and branding for the charity. Having achieved a first in her Events and Tourism Management degree she is undertaking an MSc in Marketing and Management at the University of Essex. 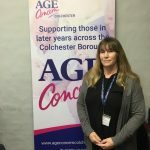 She is using this theoretical knowledge and her wealth of event management and marketing experience to boost awareness and create events for the charity, integrating Age Concern Colchester further into the wider community. 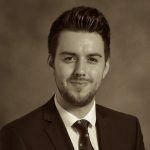 Dominic is a qualified Financial Adviser and runs a local practice in the town. 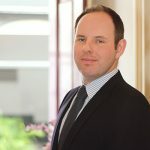 Having spent 5 years working for Nationwide Building Society he founded Pape Wealth Management in 2014. Pape Wealth Management currently services 100+ clients across East Anglia and London. Being a proud Colchesterian, Dominic enjoys giving back to his local community and is also a member of The Rotary Club of Colchester Forum. 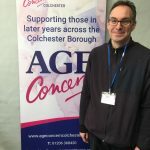 Being a member of The Rotary Club of Colchester Forum made Dominic aware of the great work that Age Concern do in the local community so when asked to be a Trustee it was a simple decision. Brought up and lived locally all of my life, educated at what was the Boys High in Colchester. Studied for my Law degree at Essex University where I stayed to complete a Masters degree in EU Law with human rights, after finishing went to Law School and subsequently joined John Fowlers LLP as a Trainee where I successfully qualified as a Solicitor in 2008 and have since gone on to head up the Private Client department and in 2010 was made a Partner, and further in 2016 an equity partner. I had an active interest in Almshouses and sit on a number of related Charities to both grow awareness of almshouses and preserve them and act as Trustee for them. I am a passionate advocate in elderly law matters and making sure that through awareness of what is possible people can plan well in advance rather than having to deal with complicated matters at the most difficult times. 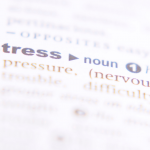 I am a specialist Court of Protection Solicitor dealing with matters relating to loss of capacity and the management of peoples finances and health and welfare matters when there is a loss of mental capacity.